This landmark theory of interpersonal relations and group functioning argues that the starting point for understanding social behavior is the analysis of dyadic interdependence. Such an analysis portrays the ways in which the separate and joint actions of two persons affect the quality of their lives and the survival of their relationship. The authors focus on patterns of interdependence, and on the assumption that these patterns play an important causal role in the processes, roles, and norms of relationships. 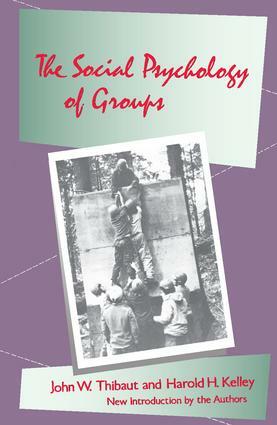 This powerful theory has many applications in all the social sciences, including the study of social and moral norms; close-pair relationships; conflicts of interest and cognitive disputes; social orientations; the social evolution of economic prosperity and leadership in groups; and personal relationships.